Are you in a rut when it comes to dinner? I know I am. So for the past few months I’ve been trying out different dinner kit services to mix things up a bit. First I tried Blue Apron, which you can read about here. 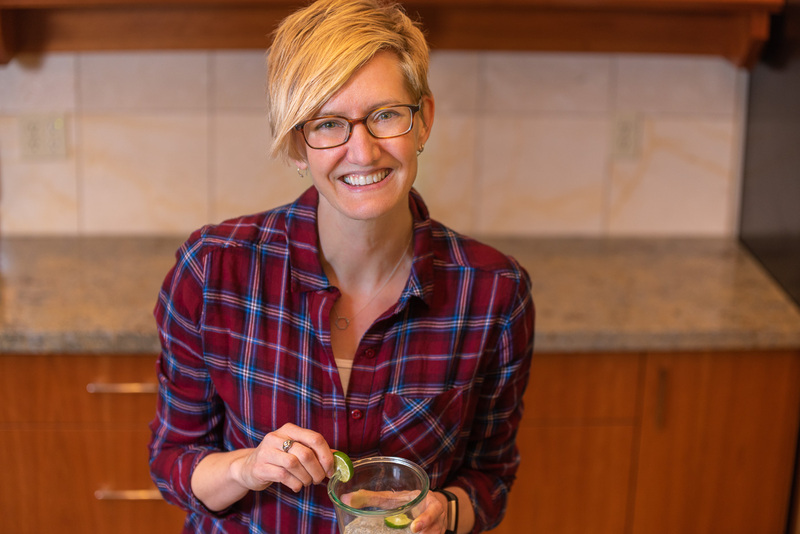 Today I’m going to share my experience with Plated, and next in my series will be a local Bellingham company ACME Farms + Kitchen. That’s right, I said dinner kits. Some nice person somewhere will suggest recipes that match your preferences, get the requisite groceries, measure stuff out, pack it all up in a box, and mail it to you. So awfully handy. 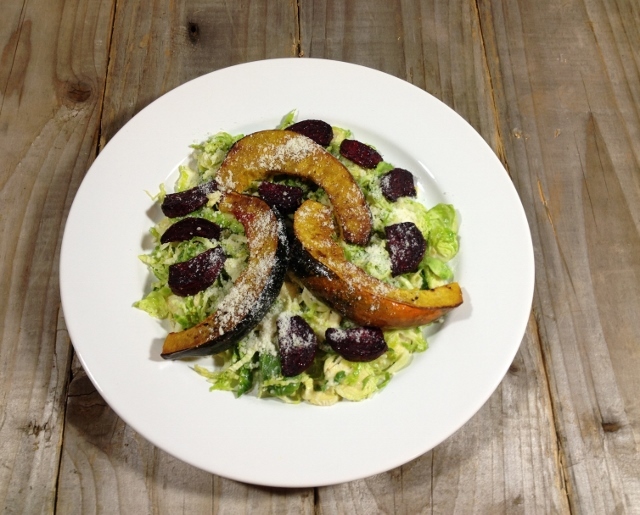 How it works: Seven new recipes are available each week, and 3 of these are vegetarian. The delivery day will depend on your zip code, as the boxes come by courier. You can choose from the list of recipes and decide how many you’d like. In my case, maximum would be 3 since the rest had meat or fish. 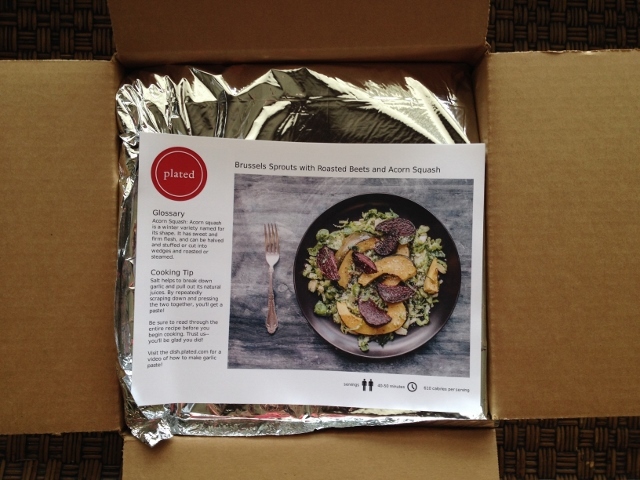 Unlike Blue Apron, which is an ongoing subscription (with the option to stop shipments for a week), Plated lets you order what you want when you want. But, they entice you with lower prices hoping you’ll subscribe. What it costs: $15 per plate for their a la carte pricing, or $12 per plate for subscribers. So, that means when I ordered two meals for two people, it cost $60. I got a special first-timers deal with my first order and got 1 plate free, so it was only $45. Of the three services I’ve tried, it is the most expensive for what you get but shipping is free if you spend more than $50. How does it stack up nutritionally: Not bad. Calorie values are on the recipe/instruction cards but complete nutrition facts labels can be found on the site, which is a significant advantage for Plated compared to the other services I’ve trialed. My four recipes ranged from 550-660 calories per serving. When I added sides, it made for a high calorie meal, but it’s still far and away better than the Standard American Diet. And it was cooked at home from fresh, minimally-processed ingredients which these days seems like the exception rather than the rule. They hit the mark with whole grains about 30% of the time. 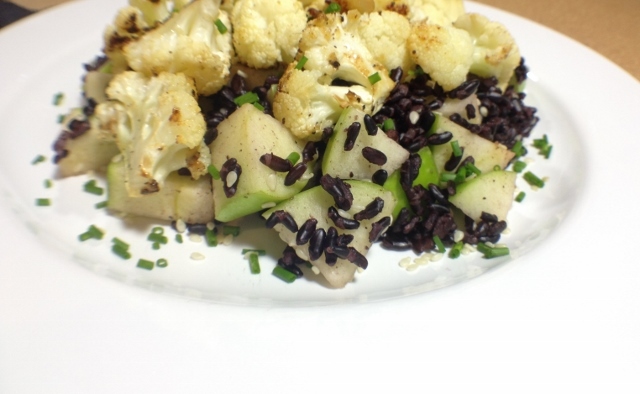 The Apple Sesame Forbidden Rice used black rice which is a whole grain, but the bread salad was made with a regular ciabatta roll and the paella used white Bomba rice. And similar to my experience with Blue Apron, it seemed there was a lot of olive oil added at each step of preparation. Of course it’s a healthy ingredient, but also a high calorie one. I know I ordered from the vegetarian menu, but they sure do a good job of getting vegetables into you. The Brussels sprouts dish was almost entirely vegetables, and the paella had onion, tomatillos, summer squash, cherry tomatoes, green pepper, and peas. We stretched this recipe into 4 servings but it still meant about 1 cup veggies per serving! How did it taste: It ranged from OK to awesome. I’m not sure what the official definition of paella is, but the Plated recipe didn’t have saffron. Despite this tiny culinary deviation, it was still very flavorful but I’d say it tasted more like stuffed peppers. And even though I’m a fan of all the ingredients and I had high hopes, the Brussels sprouts dish was just OK. 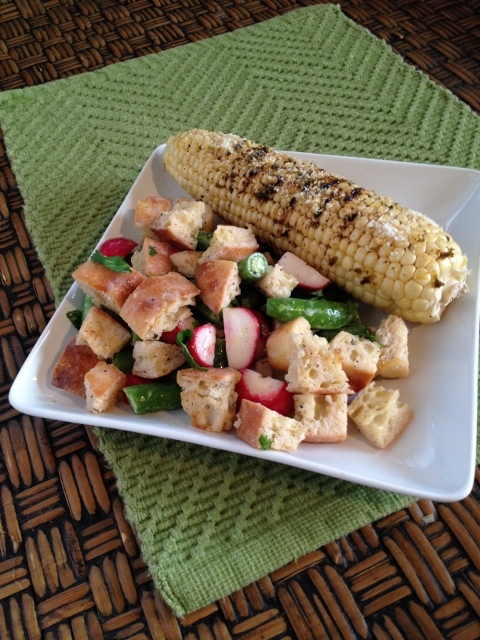 I LOVE panzanella, and their Summer Bread Salad was a very unique take on it. I generally don’t like radishes or cilantro but when taken all together this combination was unexpectedly fantastic. It felt very summery, had a great mix of textures, was very filling, and the lime juice added at the end really made for a remarkably fresh flavor. Unfortunately, the seasoning on the corn was too spicy for my sensitive palate, even though I preemptively used only half the chipotle powder. I underestimated the Apple Sesame Forbidden Rice; it seemed like it might be plain but I couldn’t have been more wrong. The Miso Cauliflower packed a punch of rich tangy flavor with every bite and it paired SO well with the rice and apples. Even the flavor of the sesame seeds came out on top of everything else. I liked it so much I will definitely reuse the idea of miso butter for roasting vegetables. This was very good, bordering on awesome. Was there enough to eat: Yes, but generally only for one meal. Another reason this plan turns out to be more expensive than the other services is that there were rarely leftovers. And, these weren’t meals exactly…more like 1 dish. So, I often added fruit salad or beans to round things out and fill up the plate. 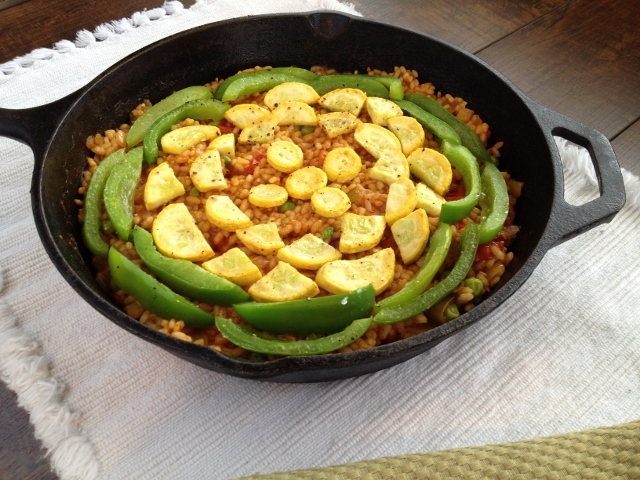 The paella made 4 servings, but I think only because we added 2 different side dishes. Sturdy, colorful recipe cards help to know what the final product should look like. I like that they listed “What You Need”, so you could easily gather up your kitchen supplies (usually olive oil, salt and pepper) before you started. All the ingredients were still cold when the box arrived at my house. All the bags meant I was organized when I started cooking. Each ingredient is clearly labeled and most of what you need for 1 recipe is grouped together in 1 bag. This service could work for vegans, if you ordered carefully. 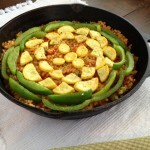 The paella was vegan and the Apple Sesame Forbidden Rice could be if you replaced the butter with olive oil. Again, like Blue Apron, the meals were beautiful to look at. The colors in the Apple Sesame Forbidden Rice were downright gorgeous, and I copied Plated’s vegetable arrangement idea for the paella which meant it looked pretty nice when it came to the table. As mentioned above, with all the packing materials, bags, and boxes, you’d be drowning in the stuff if you ordered every week. However, if you came home from the store having shopped for yourself, you’d likely have produce bags and shopping bags to dispose of/recycle too unless you brought your own. Since there are no leftovers, you still have to plan and shop for lunches. And because most “meals” are just one item, you still have to plan and shop for fruit and side dishes. So the work isn’t entirely taken care of, but you do have a great head start. It sort of seems like you should be able to empty your bags and get cooking, but they do instruct you to rinse all the produce before you start. I agree that this is a good idea, so this is classified as a recommended and necessary con. Each recipe is only 6 steps, but each step could have 8 things to do, so reading through a long list in paragraph form made it easy to miss something. Overall, this meal kit experiment was a success for us. What do you think? Are you ready to outsource dinner to someone else for a while? 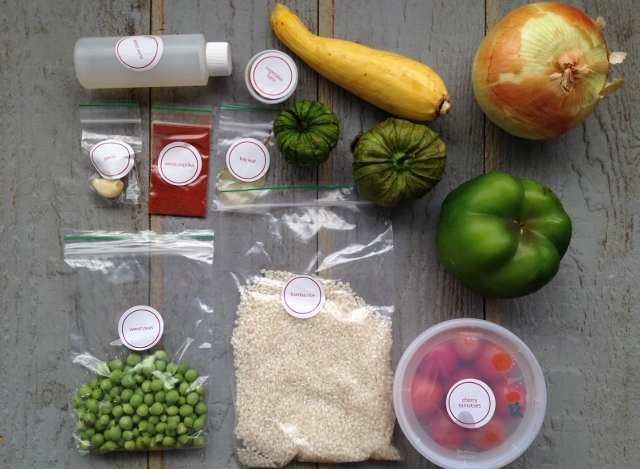 Even if you try it just once, meal kits do add variety to your routine. You might end up eating a food you normally avoid putting in your cart or you might find a new favorite recipe technique (like miso roasted veggies!!!) that you can add to your dinner arsenal. If you already scour blogs every morning for recipes and spend most of your afternoon and evening preparing multi-course meals, you probably don’t need a service like this. But I think for most folks, a little creative kitchen assistance is welcomed and appreciated. 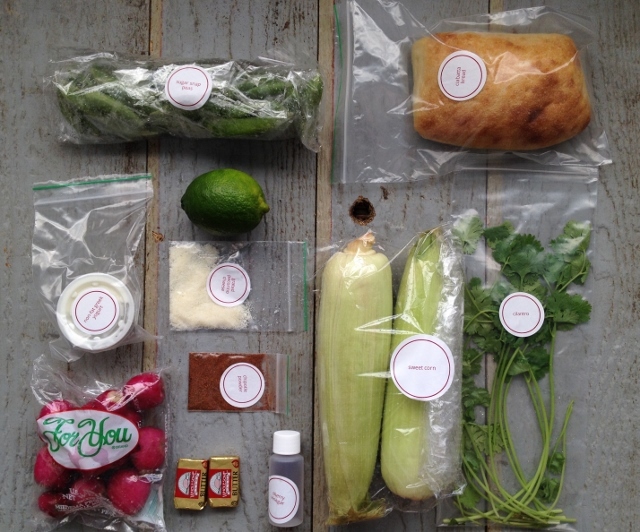 Have you tried a dinner kit service yet? What were the pros and cons you noticed? The biggest con for me is that you can’t see the menu until you sign up! I’m a strict vegan and I’m not about to give them my credit card information and commit until I can see how many of the entrees I can eat. That makes sense, of course. I did just double-check the Plated site. I only had to enter my zip code and choose a delivery date to see the veggie menu. (I hadn’t signed in/signed up or given a cc# yet.) So you might be able to see what you needed before committing. That is the same problem I’m finding. I quite eating meat on June 24 and looking for vegetarian meals. My first try was Sunbasket. All three sacks had bruised and rotted produce. Didn’t like the veg choices so I just cancelled my order. Why can’t we see what they offer before we sign up. Bad idea to handle the food choices that way! These reviews have been really informative! I’m a vegan and every time I hear about these mail away meal plans, I wonder if they’d work for me. Thanks for writing these.